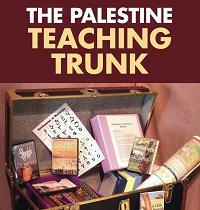 This curriculum can be taught in middle or high school. Students form Literature Circles to read young adult novels set in the Occupied Territories. The two novels are The Shepherd’s Granddaughter and A Little Piece of Ground. Enlarge the picture below to spot the two books. One novel has a male protagonist and is set in the 1990s in a city. The other novel has a female protagonist and takes place in the countryside during the early 2000s. 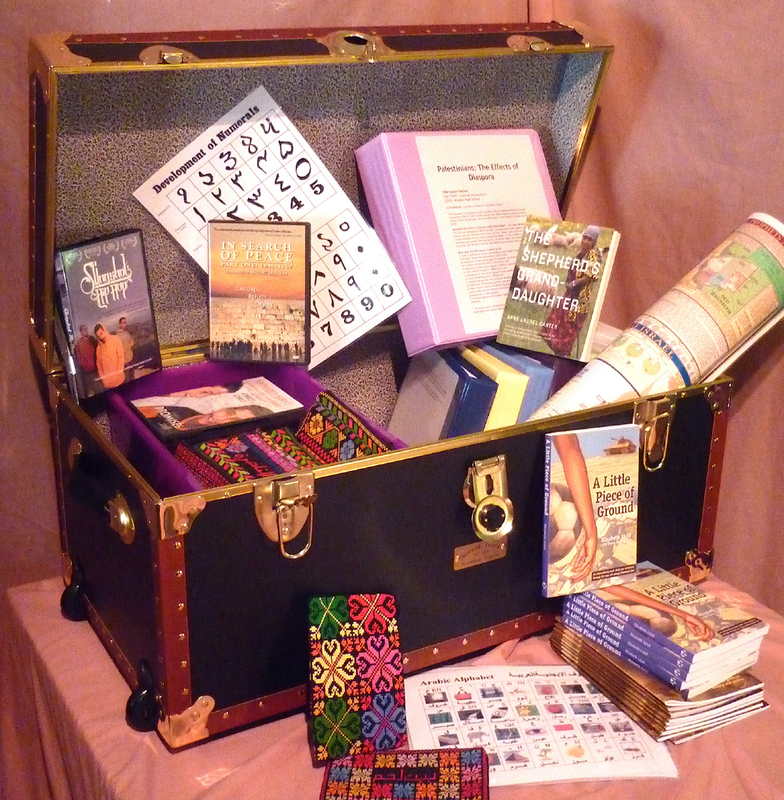 If you borrow the physical trunk, we have 34 copies of each novel for you, along with discussion questions and suggestions for extending the activities.